Made by ECOSOX, these socks are perfect for either a casual stroll through the woods or a multi-day backpacking adventure in the mountains. These wonderfully soft socks are great at keeping feet dry and odor free during a long day hiking. They are thermo-regulating which means cool in the summer and warm in the winter. The design of these socks help protect against blisters as well as fights foot fatigue. These will fit women's shoe sizes 4 - 10 1/2 (or men's 3-9). They come in a variety of colors, not always what is shown. 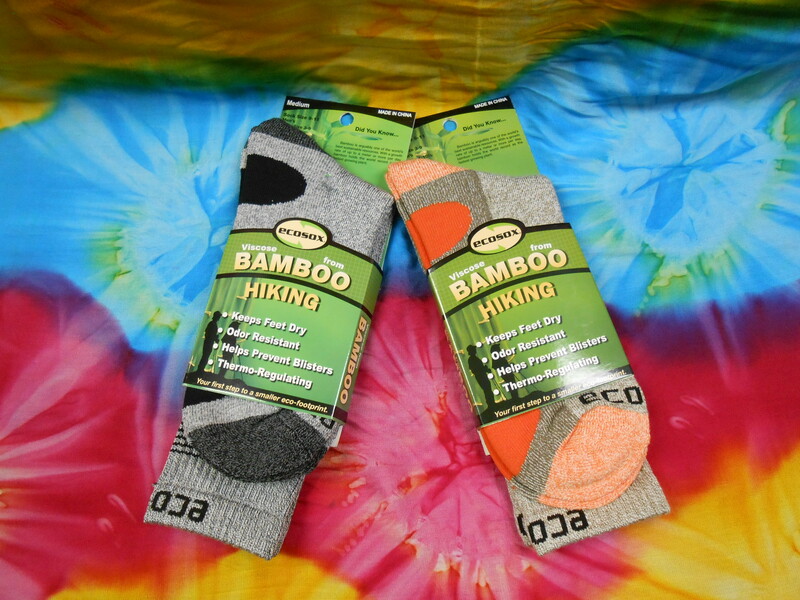 Buy a pair of these wonderful bamboo socks and your feet will thank you for it!